Tiny, black, oval, at first glance chia seeds look pretty ordinary. This humble seed is one of the most nutritional foods on the planet, and there’s a reason why it’s often on the breakfast menu in our home. Actually, there are many reasons why! Chia seeds are tiny, oval seeds of a plant of the mint family. They look a lot like mustard or canola seeds except that these are even more special. For starters, the seed is coated in a hydrophilic substance. This means, for the chemistry nerds here, the seeds soak up liquid really well, swell and become almost gel-like. 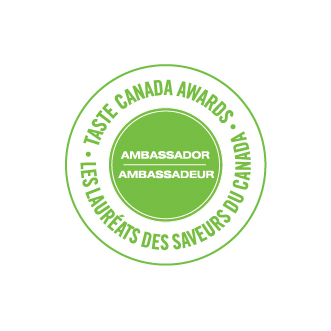 This quality makes Chia seeds a great canvas for other flavours and since they don’t need cooking or for that matter much effort, they can be transformed into a delicious dish that my kids will actually eat. The simple answer – yes they are! 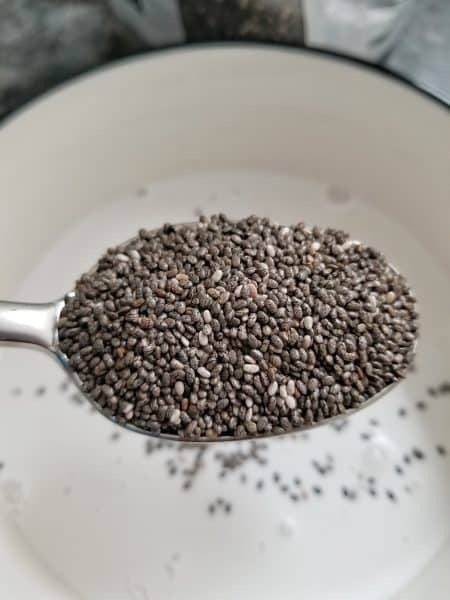 Chia seeds are whole and unprocessed, naturally keto, dairy free and gluten free. They are nutritional powerhouses of fibre, protein, fat (in particular Omega-3’s), Calcium, Phosphorous – the list does go on and on. In short, there are tons of reasons why Chia seeds are on my list of favourite superfoods, and they should be on yours too. 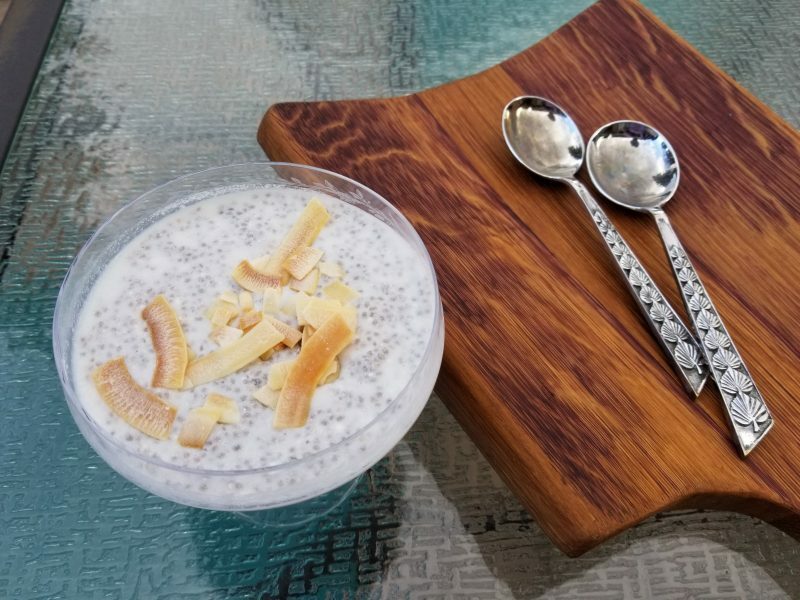 This brings me to the 66 million dollar question – what can I make from Chia seeds that my kids will actually eat. What about pudding? How can you eat Chia Seeds? 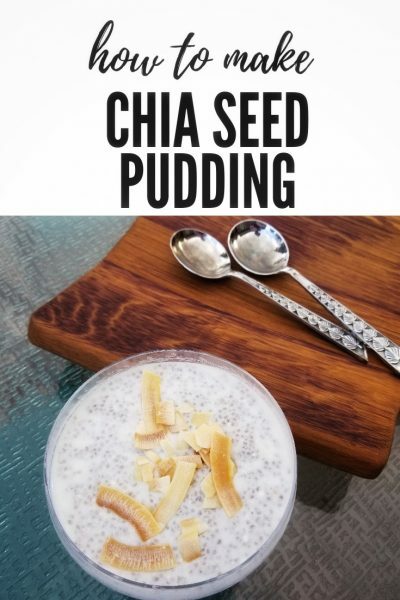 On their own chia seeds are crunchy but they soak up large amounts of liquid to become gelatinous and pudding-like. People blend them into smoothies but since that sounds like too much effort for this mama, pudding it is. Chia seeds are easy to work with. A good rinse, a couple of tbsp of chia seeds, two cups of your liquid of choice et voila. 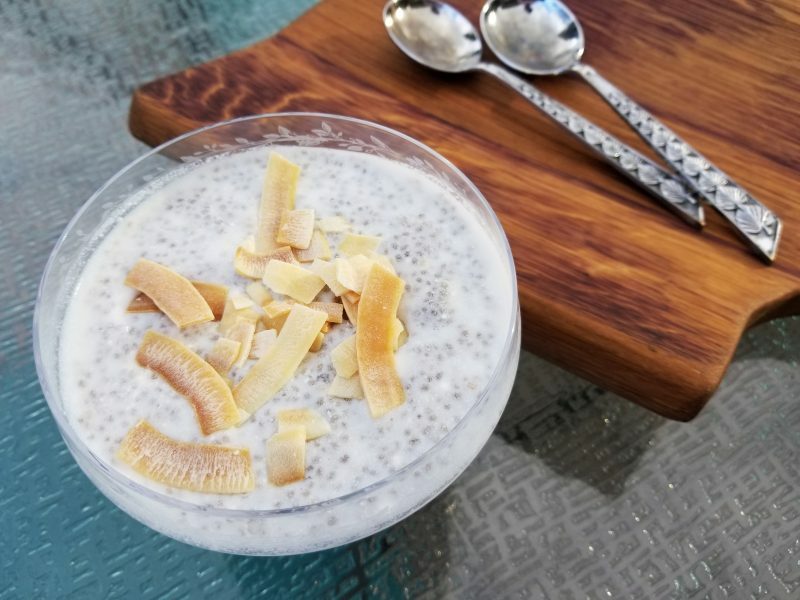 Dairy free, naturally glutenfree, keto chia seed pudding…. for breakfast! Add a few chocolate chips and that’s how you pull the kids in. Chocolate wins every time! – The seed to liquid ratio should be 4:1. More if you like it more liquid-y. – I have tried this recipe with coconut milk and regular dairy, stirred with vanilla and nuts, or cocoa and maple syrup and granola on top. It’s delicious every which way. Place the lid on it and refrigerate for at least 2 hours. Enjoy with chocolate chips, coconut chips, granola or fruit, the possibilities are endless.